If you are looking for a new two wheeler or want to replace your old one then your search ends here probably because a Branded new scooter has arrived to suit your personality and has exclusive features to offer you! Renowned Auotmobile co. Mahindra & Mahindra (M & M), has launched New 'Kine' 80 cc.The wait is over because in next month in next monthly very improved and really advanced version would be in the market for you exclusively the market.New 80 CC scooter is exclusively designed by an Italian company Engines Engineering keeping in mind all the features that suits you and other one is Taiwan’s Sanyang. This two wheeler promises you to give better performance, less fuel efficiency, awesome speed and power. Embedded with New techniques that made it so special from others and its production is going to start very soon at Pithampur plant so the wait is over. Coming with this new scooter, Mahindra has some different plans to improvise motorcycle segment too as it has given special emphasis on the creation of New 80cc scooter. 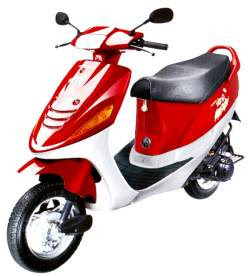 Intense researches are being carried on to improve its performance and quality as well because Mahindra has very tough competition with Honda Motorcycle, Suzuki, scooter India and TVS motor in the gearless scooter segment So just wait for some time as New 80cc is going to launch very soon. A scooter has all the features that will really mesmerise you! Mahindra Kine is a good combination of elegance and mileage.Its a perfect scooter which targets the Indians.People don't doubt over the Mahindra's technical expertise.